Check out the #Knitwell capsule collection, a collaboration between KPC Yarn and extreme knitter and textile artist, Jacqui Fink. Combining a shared passion for natural fibers and high-quality yarns, #Knitwell comprises a collection of luxurious yarns and hand-knit designs with timeless and understated beauty. The weight of Meadow Super Chunky yarn is super bulky (11 sts or less/4 in). Here are some patterns written for super bulky (11 sts or less/4 in) weight yarn. Check out our advanced pattern search page to see all patterns. Remember you should always measure your gauge prior to beginning any project! 3. For additional ideas, you could look at some projects we created with Super Bulky (11 sts or less/4 in) yarn. 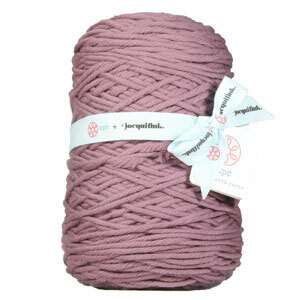 Delicious Yarns Fresh Baked Yarn Club Yarn From $54.60 to $117.00Select colors on sale now!